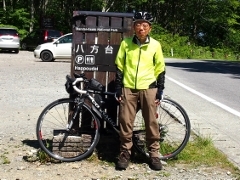 Today, I went south on Route 6 from Soma City and entered Minamisoma City. Going south further on Route 6, there was a checkpoint near the border to Namie Town, from which I had to return back because of the evacuation zone of the nuclear accident. 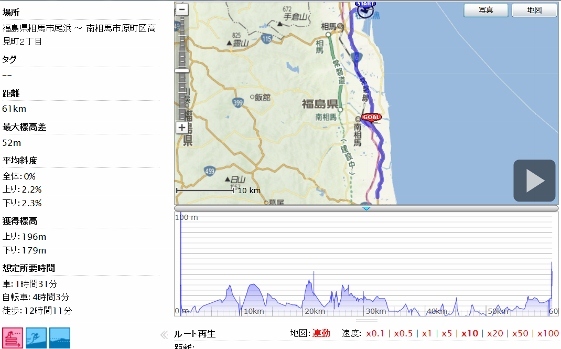 The detail was shown in the GPS log below. 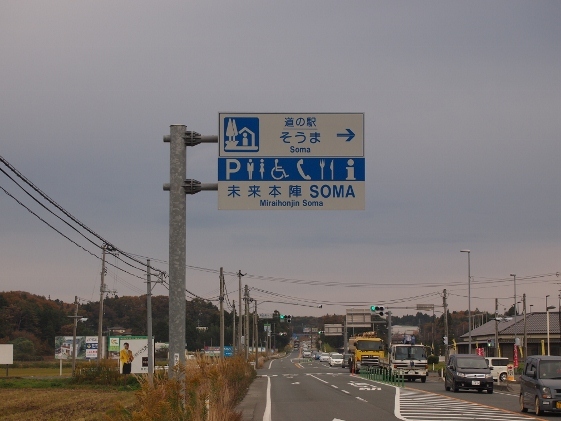 There was the Road Station "Soma" along the Route 6. 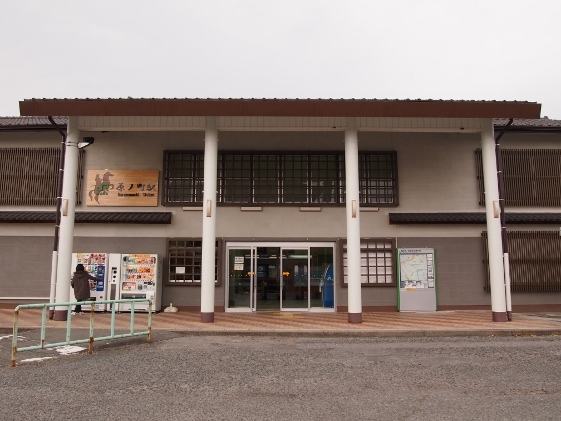 The guide sign and the outside view are shown in the pictures above. 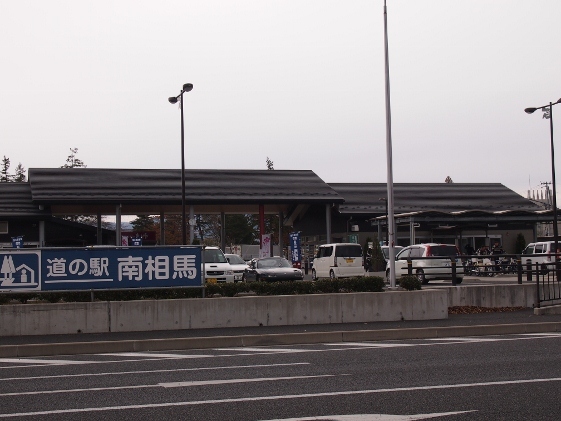 Going further south I entered Minamisoma City as shown in the picture above. Pedaling the bike about 12km after that, I entered Haramachi area which was the center of the City. 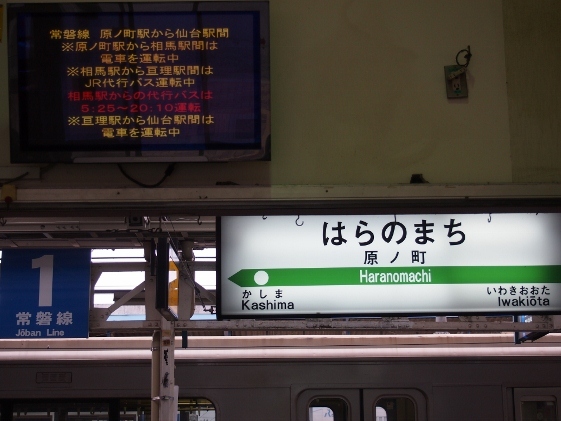 The picture above shows Haranomachi Station of the JR Joban Line. As shown in the second picture, now there were only outbound trains bound for Soma from the Station. 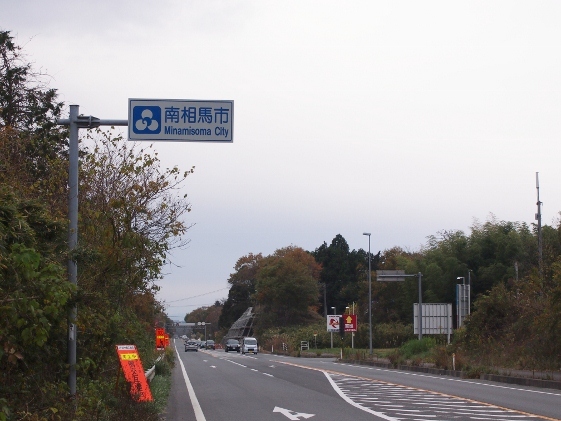 Inbound trains were now blocked by the evacuation zone of the nuclear accident. 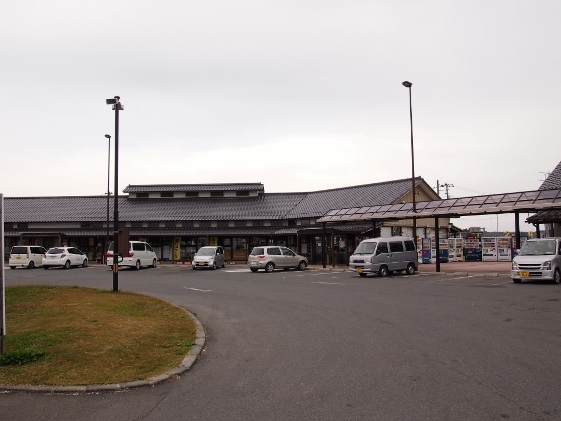 Near the Haranomachi station, along the Route 6, there was the Road Station "Minamisoma". Since it was a National Holiday today, the place was clouded with people. 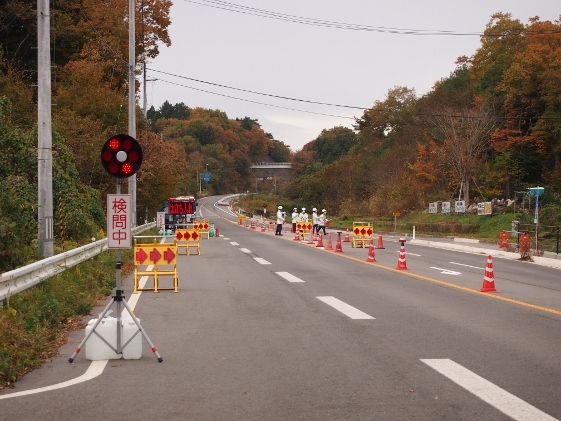 Going further south from there, approaching near the boundary to Namie Town, there was a checkpoint for the evacuation zone as shown in the picture above, and I had to return back.